A.k.a. How to alleviate a tangled pump line. Back when I was first diagnosed, blood glucose meters didn’t have all the bells and whistles they do today. I had to keep that dreaded paper logbook of blood sugar levels and insulin doses. It was an absolute pain to have to stop and write things down, on top of all of the other diabetes management tasks. I often found myself filling in weeks of missing data prior to clinic day, and even fudging some. When my diabetes educator pointed to a spot in the logbook and asked me “what happened here, Frank?” I was left scratching my head trying to remember. I love how far blood glucose meters have come since I was first diagnosed. Back then, blood glucose meters weren’t as flashy or stylish as they are today. They were boring. Today, meters have USB ports. I can simply plug my meter into the computer before an appointment, and upload the data from all of my devices to computer software such as Diasend. 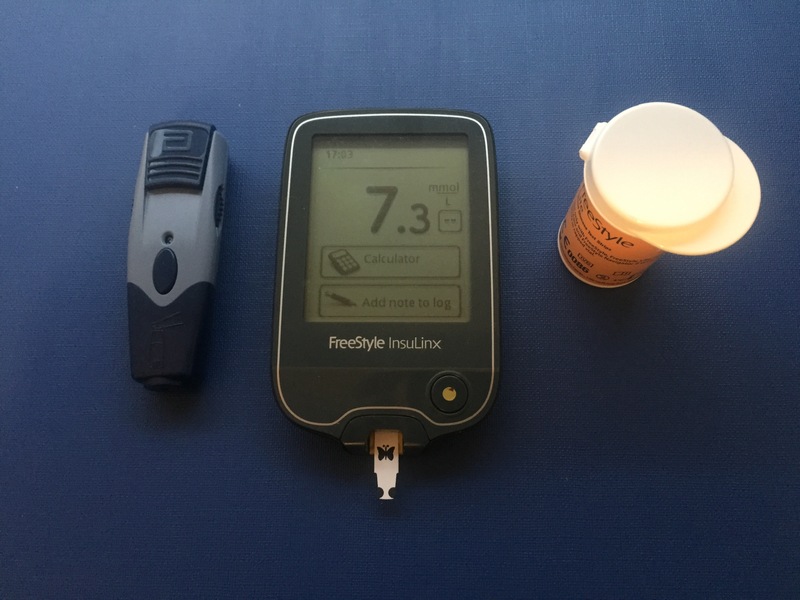 I don’t need to scratch my head every time I’m asked “what happened here,” because Diasend compiles data from my insulin pump, meters and Libre into one easy to read report. Today, meters have backlights for testing in the dark, colour screens, bolus calculators, alarms, smaller test strips, smaller samples of blood, stylish cases and cooler lancing devices. There are Mum and Dad businesses online selling stickers and accessories to brighten up our diabetes devices. Thanks to all of these features we have today, I have developed a newfound appreciation for good old fashioned finger sticks. Diabetes can feel so monotonous at times, that these small features really do help pep me up in my daily management tasks. I stir in my sleep. Not like stirring on a fresh morning, after a relaxing night’s sleep. But rather stirring, as a result of nocturnal discomfort. I open my eyes and squint at the bright red display of the clock radio sitting beside my bed, which reads 2.12am. I feel hot. I’m not sweating. I simply feel hot. Mostly in my face. You could feel it in my face, for sure. My mouth feels like the Sahara desert. It’s dry. And salty. It’s nauseating. I so badly want a drink of water, but can’t be bothered getting up and out of my bed. I desperately need to go to the bathroom, but at the same time don’t want to budge from my bed. Discomfort wins out. I drag myself out from my bed, and into the hallway. I stumble through the dark, not wanting to switch on any lights. I don’t want my eyes to adjust to the light, otherwise I’ll never get back to sleep. I don’t want my blood sugar levels to get any whiff of light either, and begin triggering dawn phenomenon before morning has even arrived. I emerge from the bathroom. I grab a glass from the kitchen cupboard, and a bottle of water from the fridge. I pour the cold water into my glass, and slowly begin to relive my mouth of it’s revolt. I could easily go for another. But common sense wins out here, knowing that I have no inclination to budge from my bed for another bathroom break until morning. I slip back into bed. I toss and turn, My eyes are closed, but my mind has zero inclination of nodding off. I suddenly have the urge to rip the light green blanket from my bed, despite feeling cold when I tucked in several hours ago. I want to turn the fan on, but I know I’ll probably be shivering by the time I wake up. My pillow feels more like a heat pack than a pillow. I flip it over, hoping that the cooler side of it will help me ease into a sleep once again. It’s nearing 3am, and I can’t believe that I’ve been awake for a whole hour. Do I get up and watch some early morning television in the sitting room adjacent to mine? Do I switch on my bedside lamp, and grab a really boring book? Do I stay here in the dark, continuing this pathetic attempt at sleep for a while longer? Or is it time to begin counting sheep? This, is what hyperglycemia feels like. Restaurant food does it to me nearly every time. When it comes to diabetes, I am my own worst critic. It’s so easy to feel guilty when I wake up to a number that’s out of range. It’s so easy to place blame for a hypo that was caused by a lapse of better judgement. It’s so easy to feel anxious about my future during times when my diabetes management might not be so smooth sailing. 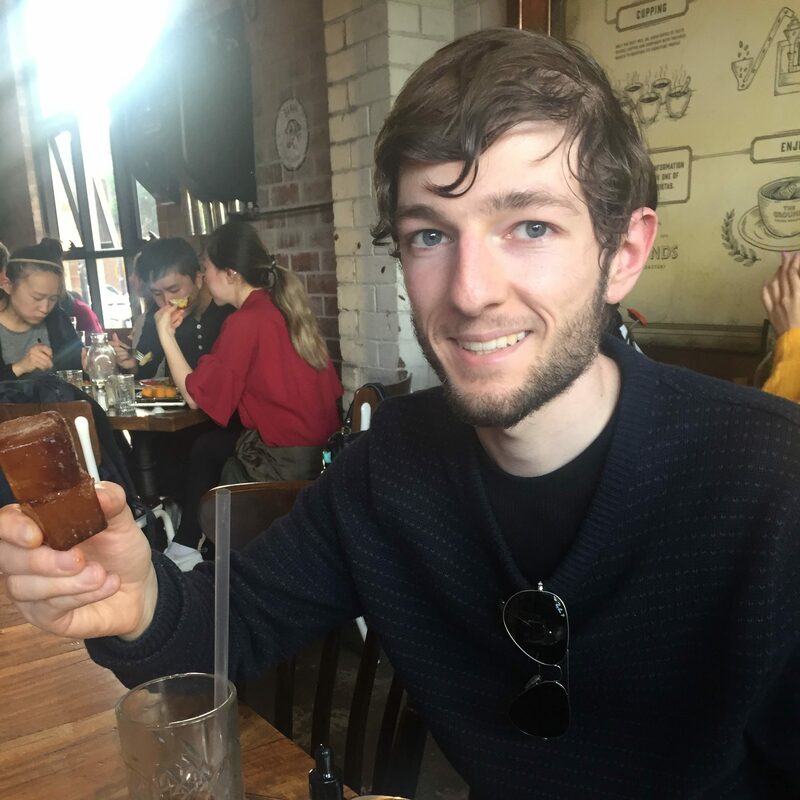 Connecting with, and meeting other people with diabetes has been nothing short of amazing. Everyone has their own, unique story to tell. Everyone is passionate about their story, and the way that they manage their diabetes. I drank in the knowledge. I felt inspired, motivated, and dare I even say passionate about diabetes. I no longer felt so isolated, or so alone when it came to living with diabetes. However after immersing myself in this world for a while, there also comes a point where I might begin comparing myself to other people. Why aren’t I going for a run every morning? Why am I not able to wear a CGM without letting it overwhelm me? Why aren’t I eating clean? Why don’t I have that hba1c? Why isn’t my graph as flat as that one? Why don’t I practice mindfulness? Why am I not bursting with energy when I woke up this morning? As amazing as this world is, there also comes a point where I have to put all of these perspectives into a box and focus solely on my own. I am not that person who goes running every morning. I am not that person who is reading my latest blood sugar levels from an array of devices. I am not that person who is eating clean, super mindful and bursting with energy either. I’m no Matt or Joe or Anna or Angela.